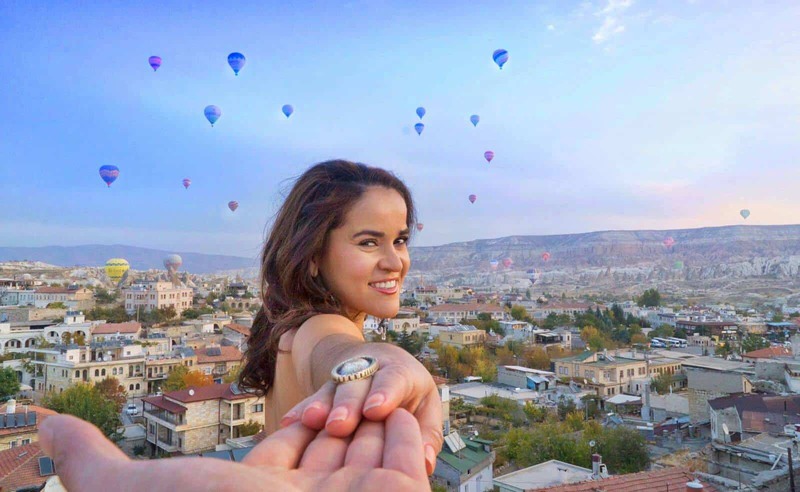 As a travel and lifestyle writer, I get invited to many shows, previews, food events, hotels and restaurants. Usually the treatment is super special and VIP. Regardless, I always provide truthful feedback because I only recommend what I consider to be the best. However, when I randomly enter a place, and nobody knows that I’m a writer, that’s when I’m really impressed by exceptional service. This is when I really know how they treat their customers. Actually, this happened recently during one of my random #foodiestops at Yarok Syrian Cuisine Restaurant in Torstrasse Berlin. 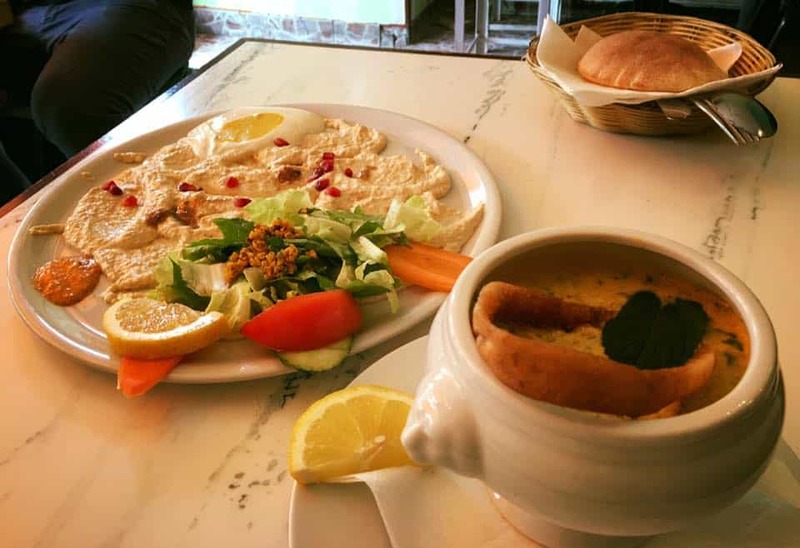 I visited Yarok, a Syrian food from Damascus restaurant (recommended to me by a local that works in a coffee place) located in the Mitte borough in Berlin. The guy didn’t even know the name of the place but explained how to get there and told me that it was one of the neighborhood’s favorites. Based on his enthusiasm, Dreams in Heels felt compelled to investigate and verify his claim. As soon as I walked in, the waiter greeted me with a smile. He promptly handed me the menu and welcomed me. I immediately felt at home. I perused the menu and decided to try their falafel (another recommendation from the coffee guy). 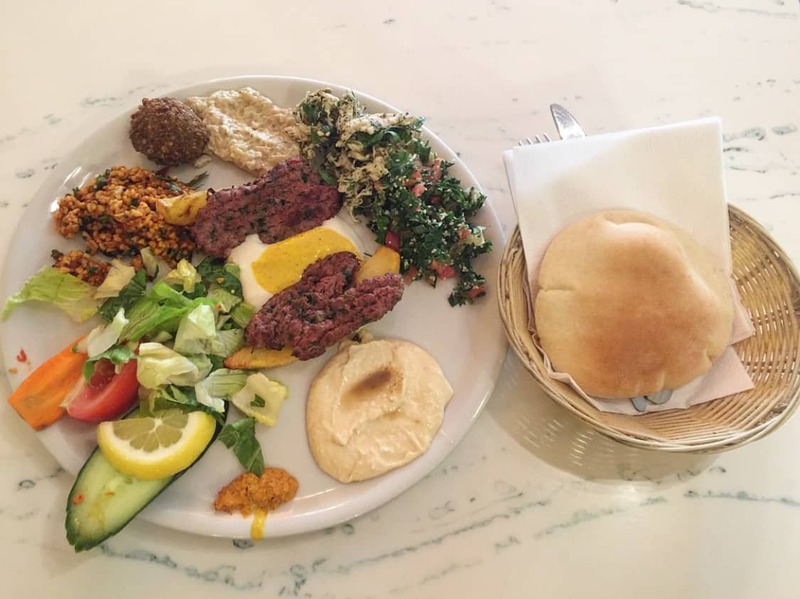 When the waiter came, I asked for the falafel but then he asked me, “Do you eat meat too?” I was like, “yes!” So his response was to recommend that I try the mixed platter instead. “You get a combination of everything for a little bit more,” he assured me. I immediately asked if they accepted credit cards. And since they didn’t, I checked my purse to see how much cash I had. Unfortunately, I only had enough for the falafel. So I said, “That’s okay. Just give me the falafel.” It was his response that shocked me. He said, “Oh no, miss. Let me get you a mixed platter and next time you come in, you can bring the rest.” I was surprised by the act of kindness by a stranger, as well as the outstanding service. It’s refreshing that he was more concerned about my trying a little bit of everything, and returning, than he was about the money. This says a lot about this place. Given the build up, I was anxious to try the food. When it finally arrived, it was so delicious! Great mix of sauces, potatoes, salad, meat, bread and falafel. Everything was super tasty. 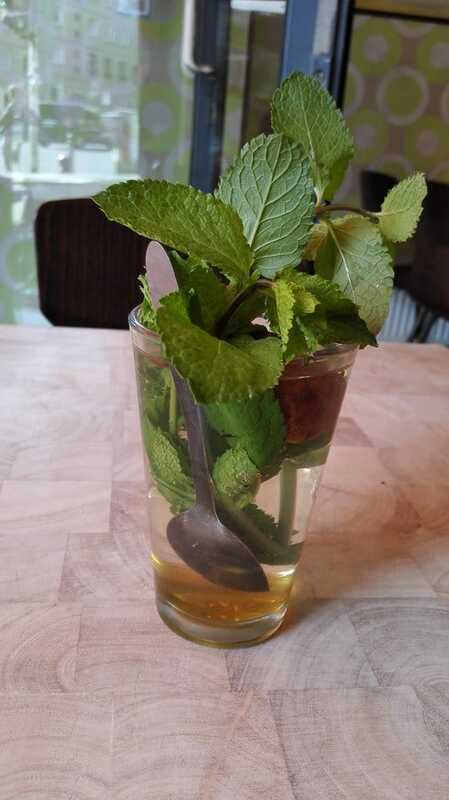 The waiter, named Bilal, even brought me a mint, lime and honey hot tea. In the end, I was grateful for the recommendation, and his trust in my return, that I couldn’t help but feel so happy. He then came back to ask me about the fragrance that I was wearing (so that he could get it for his wife). While I wrote it down on a piece of paper, I asked more information about the place. That’s when I explained what I do. He was truly happy that I had a great experience. He went on to tell me, “We treat all of our customers the same”…. basically, like good friends. Great philosophy! If you happen to be in Berlin take the m8 tram or the Sbahn and get off at Nordbahn. 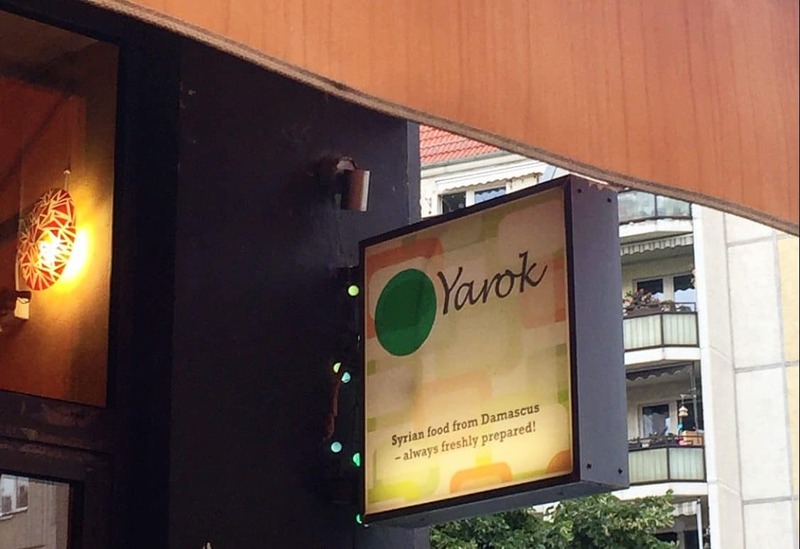 You won’t regret visiting this neighborhood, especially if you stop to eat at Yarok and experience their deliciousness and amazing service for yourself. 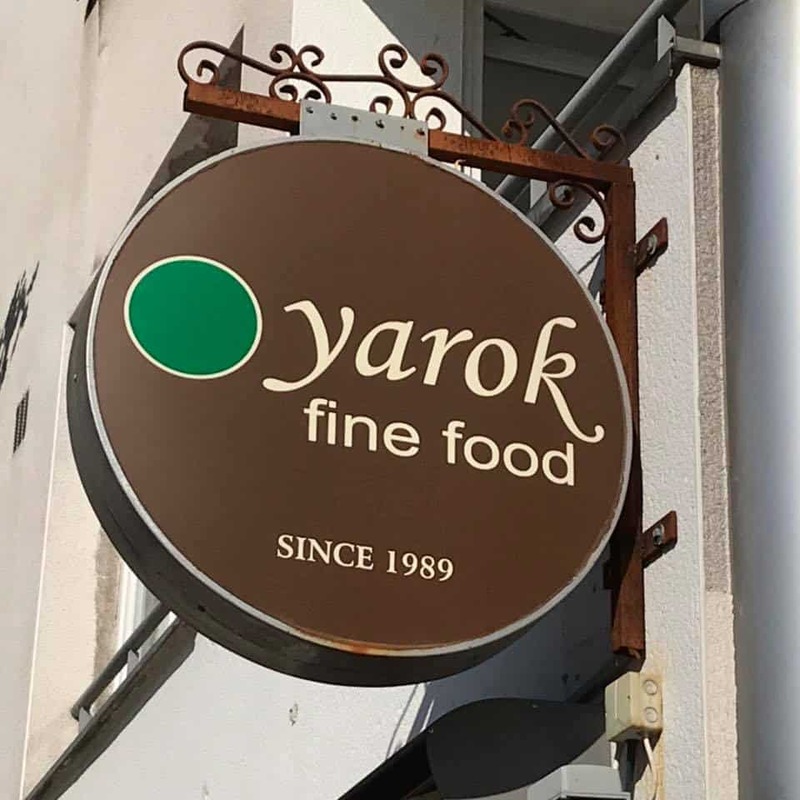 Yarok is located at Torstrasse 195, 10115 Berlin. This was definitely one of those, “happy belly, happy heart” travel moments for me. 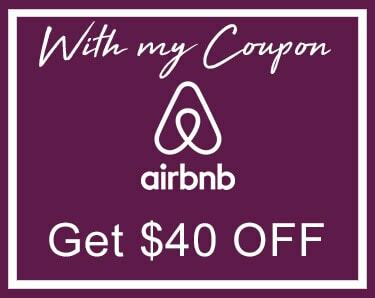 And it can be for you too! Maybe I’ll check it out next time I’m in Berlin.